Snip #1 from a longer article titled More of Coca-Cola. What Dr. Alexander and Dr. Baird Say. A Talk with Mr. Candler–Rapid Increase of Consumption–Nearly Half a Million Glasses in Atlanta. Published in The Atlanta Constitution of Atlanta, Georgia, on June 21, 1891. 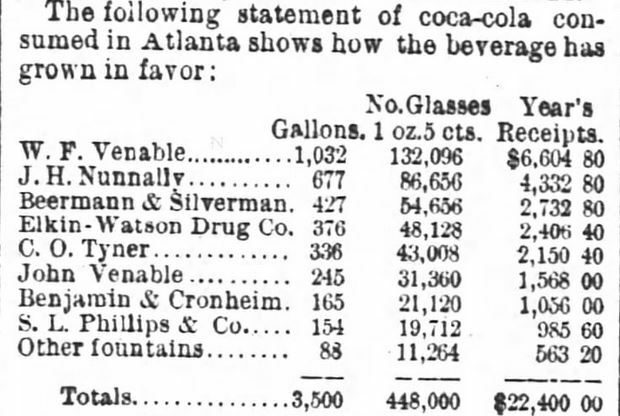 Snip #2 from a longer article titled More of Coca-Cola. What Dr. Alexander and Dr. Baird Say. A Talk with Mr. Candler–Rapid Increase of Consumption–Nearly Half a Million Glasses in Atlanta. Published in The Atlanta Constitution of Atlanta, Georgia, on June 21, 1891. 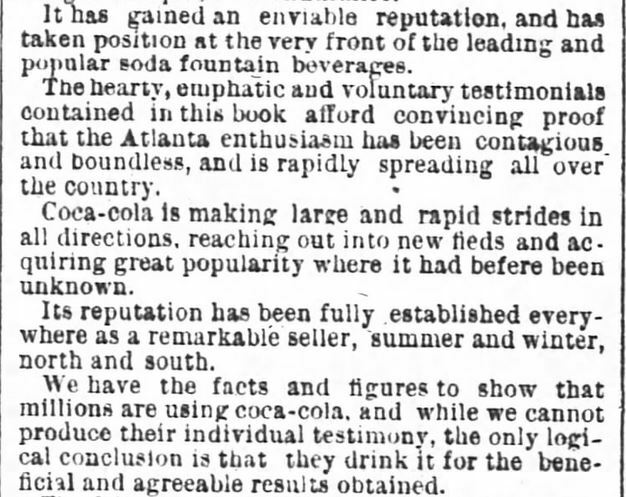 Snip #3 from a longer article titled More of Coca-Cola. What Dr. Alexander and Dr. Baird Say. A Talk with Mr. Candler–Rapid Increase of Consumption–Nearly Half a Million Glasses in Atlanta. Published in The Atlanta Constitution of Atlanta, Georgia, on June 21, 1891. Snip #4 of a longer article titled More of Coca-Cola. What Dr. Alexander and Dr. Baird Say. A Talk with Mr. Candler–Rapid Increase of Consumption–Nearly Half a Million Glasses in Atlanta. Published in The Atlanta Constitution of Atlanta, Georgia, on June 21, 1891. IT LOOKS LIKE A DANGEROUS DRINK. 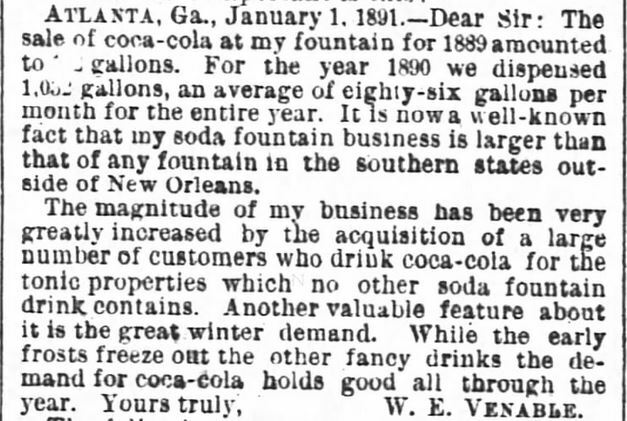 Editor Constitution: There appears in the columns of your paper this morning a notice of “coca-cola,” a preparation which I have been manufacturing and selling largely in this and other communities for the past three years, as a soda fountain beverage, to the principal dealers, who have dispensed it to the very best people in the community which they serve. 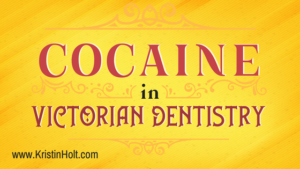 For nearly twenty years I have lived in Atlanta and been known prominently as a druggist. Among the citizens of this place I think I have a great many friends to whom I can refer for endorsement: that I have endeavored to live above reproach, never manifesting a desire to build up my own interests at the expense of theirs. As to coca-cola, if your “thoughtful citizen” will find one person in all this country who is a cocaine user by reason of having drank coca-cola, then I plead guilty to their charges. In a pamphlet which I issue and distribute at much expense, I plainly state that among a great many other things which enter into its composition we use cocaine leaves. I have no objection to stating just here that one gallon of coa-cola syrup, which makes 128 glasses, as dispensed from the soda fountains, contains one-half ounce of green coca leaves, which are treated with hot water. If your thoughtful citizen and prominent physician have got as much sense as they lack regard for correct speaking, they can readily see that a gallon of this syrup would not produce any decided effects attributable to cocaine. Without any investigation as to who is using coca-cola, I feel confident that I can truthfully say that every prominent minister, a number of our most skilled physicians, together with nine-tenth of the business men, including all professions, are and have been for at least three years constant patrons of coca-cola. Because a man once tries it and finds it to be a prompt restorer of his energies and goes back and gets it again and again, should not be an argument against its use any more than against the recall of our family physician who restores to life and health the members of our family. That some people use too much of it is not its fault or mine, but I have yet to hear of a single case having been injured thereby. The popularity of the beverage is caused as much by judicious advertising that has been done for it by its own genuine merits. We trust that as you have doubtless carelessly permitted the attack to be made, you will as carefully insert this plain statement on my side of the case. 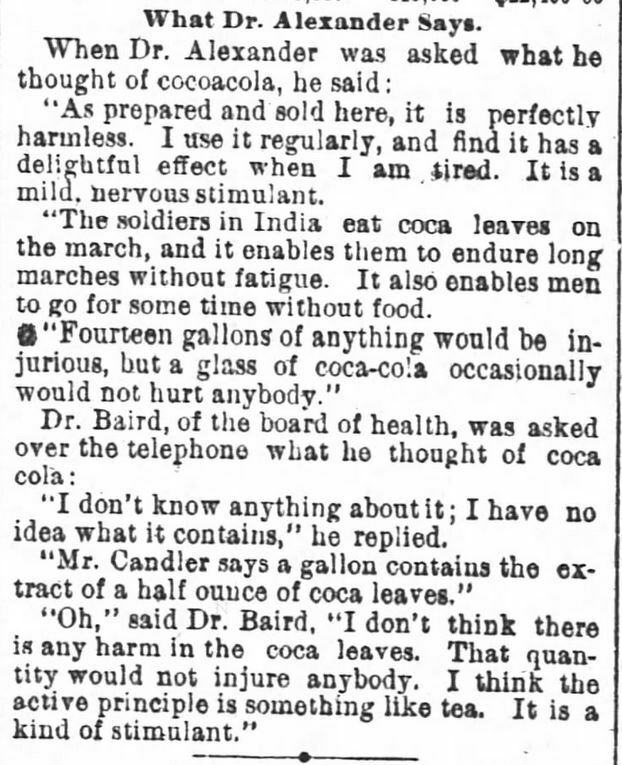 ~ Transcription of article titled It Looks Like a Dangerous Drink, originally published in The Abbeville Press And Banner of Abbeville, South Carolina, on July 1, 1891. A digital snip of the newspaper from which the article was transcribed follows. It Looks Like a Dangerous Drink, as published in The Abbeville Press and Banner of Abbeville, South Carolina, on July 1, 1891. As this vintage newspaper’s digital scan was difficult to read, I carefully transcribed the article, word-for-word, with all original spellings and punctuation; the only emphasis was to bold the year of publication in the citation. No emphasis was added within the quotation of the article (transcription). This snip is not meant to be large enough to read. To read this article in full, visit this special clip at Newspapers.com. 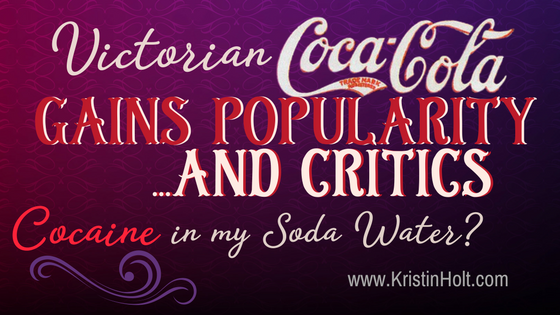 Cocaine in Victorian Coca-Cola: Going… Going… Gone?